Authentic Greek cooking may be the healthiest eating on the planet. For two thousand years the Greeks have been evolving foods free of fats, cholesterol, sugar and artificial additives, and rich in protein, fiber and oils. Their vegetables (spinach, eggplant, zucchini, etc.) contain heavy doses of heart healthy, anti cancer compounds. Their pastas and crusts are thin and flaky. The way they use tomatoes maximizes the lycopenes, which enhance good cholesterol, disperse bad cholesterol, and block the growth of cancer cells. 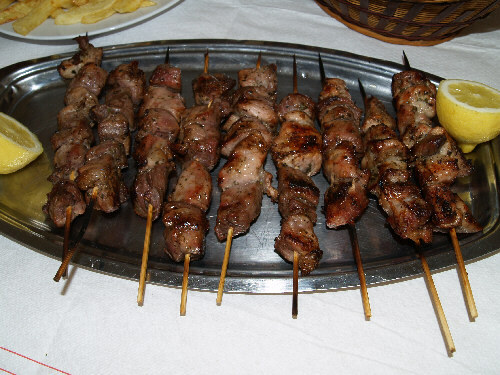 Lamb, the dominant meat in Greek cooking, is high in zinc and low in fat. Seafood rich in omega 3 fatty acids is a common Greek entree. 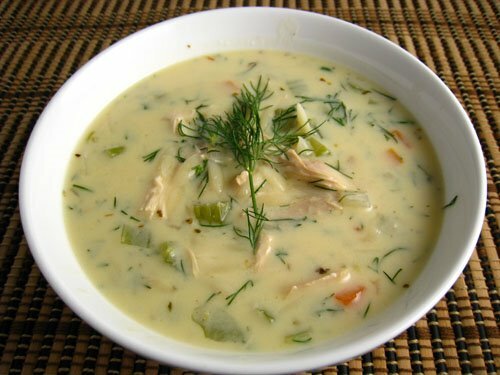 Greek dishes are flavored with dill, basil, oregano, parsley and cinammon, all rich in antioxidants. Lemons are used in a hundred ways in Greek cooking and are high in Vitamins B6 and C, potassium, iron, fiber, magnesium and folic acid. The grape leaves common in appetizers, sides and some entrees are rich in Vitamins C, E, A, K and B6 plus niacin and riboflavin. Olive oil is used as both a base and a dressing, and is the single best antidote ever found to fight colon cancer and atherosclerosis. The bottom line is a meal at a Greek restaurant is almost a health investment. It's no wonder the Greek islanders have the longest lives and lowest heart disease and cancer rates on Earth. 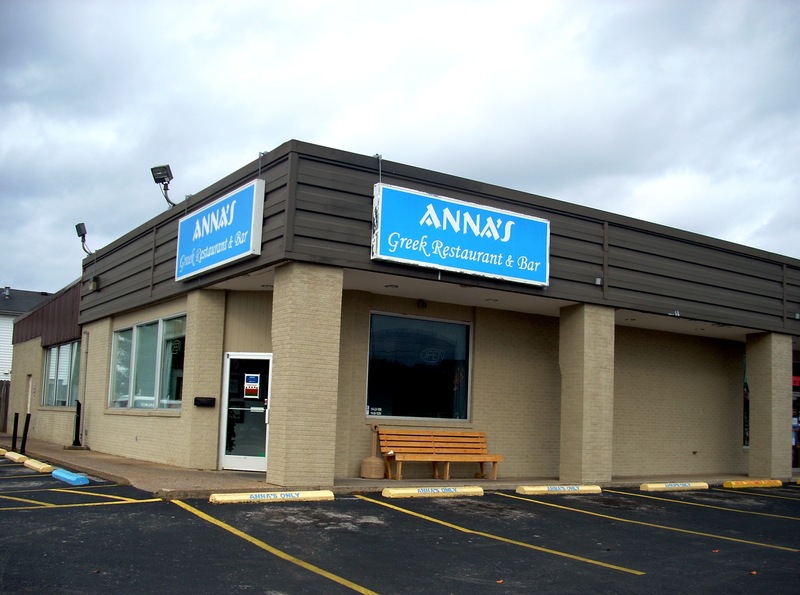 While other restaurants serve individual Greek appetizers or entrees, the only full scale Greek restaurant in town is Anna's, on Three Springs Road, just off Scottsville Road. Anna herself is from Santorini, a Greek island 120 miles off the mainland in the Aegean Sea. Santorini is basically what is left after three thousand years of enormous volcanic eruptions, the latest in 1956. Archaeologists are busy on Santorini exploring various ruins including those of the ancient Minoans, and the largest eruption of all is thought to have been the basis of the legend of Atlantis, the remains of which are now thought to lay on the sea floor a few miles off the island. Santorini is home to several famous agricultural products : Assyrtiko (Vinsanto) wine, Santorini Cherry Tomatoes, Santorini Fava Bean Hummus, and White Eggplants. But Santorini is also one of Europe's most famous tourist destinations, and has numerous restaurants to serve those tourists. For 15 years, Anna owned one of those restaurants and was its head chef. The recipes she uses here in Bowling Green are the same ones she used on Santorini. Anna's is not open for lunch, but you could make a lunch just out of her appetizers. There are 11 and you will be hard pressed to choose. We like the Spanokopita (a spinach tart, seen above right), Kefdethes (meatballs), Dolmathes (stuffed grape leaves), Fried Eggplant or Zucchini, and Grilled Pita. Or you could order one of her four soups, which she rotates by the week. There are the famous Chicken Lemon Soup (when available this is a MUST, as it is one of Greece's most famous dishes, as seen here at right), Fasolatha (bean, tomato, garlic, celery, carrot and herbs), Kotosoupa (chicken noodle), and Sefsoupa (the chef's choice of whatever is available; we've tried this several times and it's always different and always delicious). Anna offers eight Pastas, five Spaghettis and three Rigatonis. We like the Rigatoni Bolognaise (sirloin beef, onion, white wine, tomato sauce, herbs and cheese). There are three Vegetarian Plates : Spinakopita, Briami and Gemista. 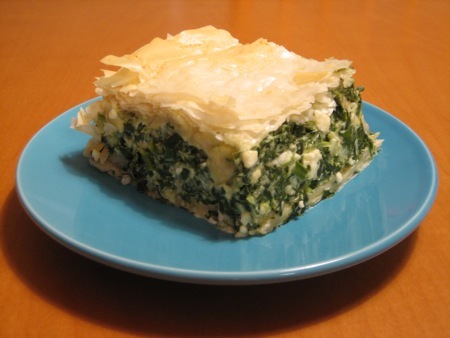 If you did not order the Spinakopita as an appetizer, we seriously suggest you order this larger version as an entree. It's filo dough stuffed with spinach, feta cheese, eggs and herbs. This may be one of the best three vegetarian entrees in town. But it's a tough choice, because the Mousaka heads up the list of Specialties. 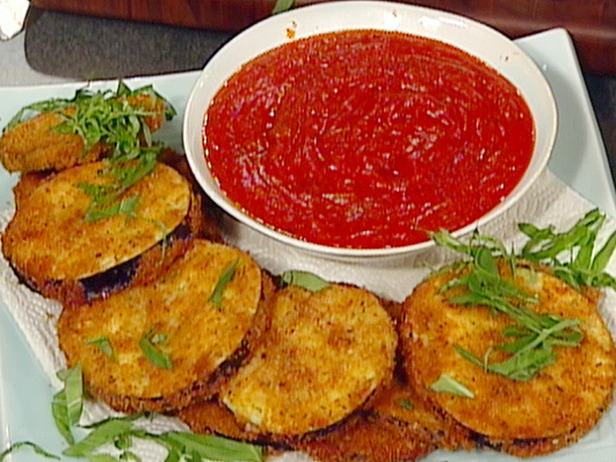 It's roasted eggplant slices, potato, zucchini, beef, herbs and cheese baked and garnished. There are also six seafood, two schnitzel and 16 meat entrees.